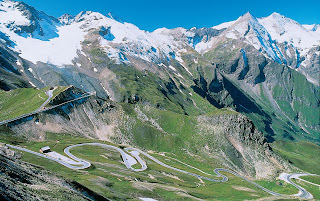 Austria holidays, Salzburg, Kaprun, Zell am See and so much more: Traveling in and around Austria in your car what you will need. Traveling in and around Austria in your car what you will need. Plan your route well in advance – this way you will arrive at your destination quickly and safely. Make the journey a relaxed part of your holiday and include enough breaks. Autobahn vignette all car divers who are travelling on autobahns in Austria must display valid vignette ( certificate) to the windscreen. Current prices at year 2013 for i) 10 days €8.30, ii) 2 months €24.20, iii) 1 year €80.60. If you have hired a car in Austria the Vignette will be included, but if you have hired from outside Austria you will need to purchase one from a Petrol service station. Make way for an "Emergency lane" in traffic jams: make way for emergency vehicles! On autobahns and highways, a "lane" must be formed between the individual traffic lanes, so that if there is a traffic jam or the traffic is slowing down. This will helps emergency vehicles to get to an incident more quickly. In Austria winter tyres are compulsory from 1st November to 15th April In winter conditions, between 1st November and 15th April, winter tyres must be used or snow chains on at least two drive wheels. Snow chains are only allowed, however, if the road is continuously covered with snow or ice. Again Austrian hire cars will come with these as standard. Have a reflective high Viz / vest with you outside built-up areas car drivers must put on a reflective vest after a breakdown or accident when entering the road. We wish you a safe journey for your well-deserved Austria holiday.